Macro lenses come in two categories. there are normal lenses which have a ‘macro’ switch which extends the focus distance by allowing a little closer shooting within some limitations and then, there are specialized macro lenses. Modern specialized macro lenses will usually get to a 1:1 magnification ratio without external devices like extension tubes or bellows. 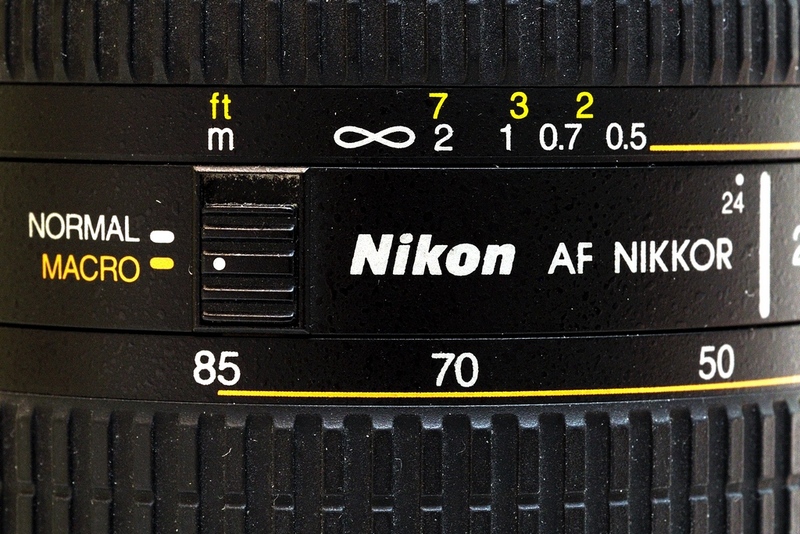 The Nikkor 24-85mm f2.8-4.0 is an example of a normal lens with a macro capability. this is a reasoable lens for most daily shooting and the macro capability lets you get a little closer when you find something interesting. This shows the macro switch and orange markings for the macro range on the 24-85mm. 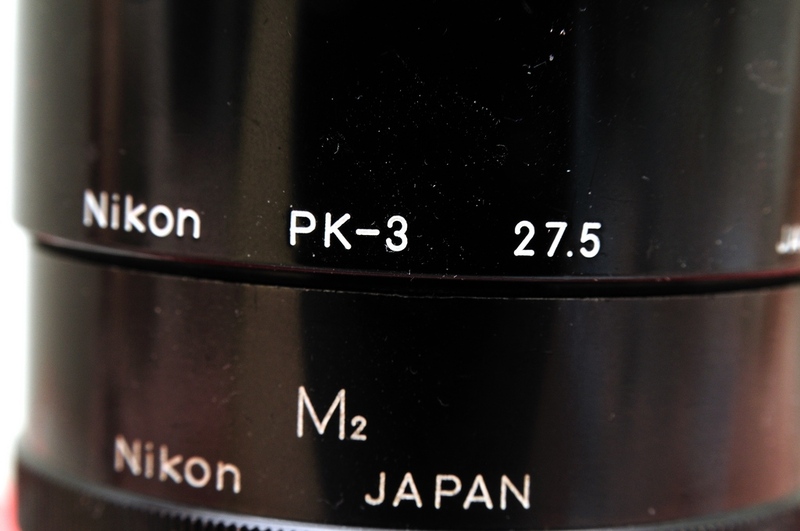 The macro range is only available from 35mm to 85mm and it does not extend to a complete 1:1 magnification ratio. If the switch were in the normal range, the focus would stop at 0.5 meters as shown. To show you the range, these pictures were taken at the 85mm normal and 85mm macro range. By way of comparison, the picture to the right was taken with the 105mm f2.8 VR Micro-Nikkor set to 1:1 magnification. So, normal lenses that can have an extended focus range can be useful for closeups they are not a replacement for a true macro lens when you get really close. BTW, if you click on this one you will see I really need to dust my camera bag. 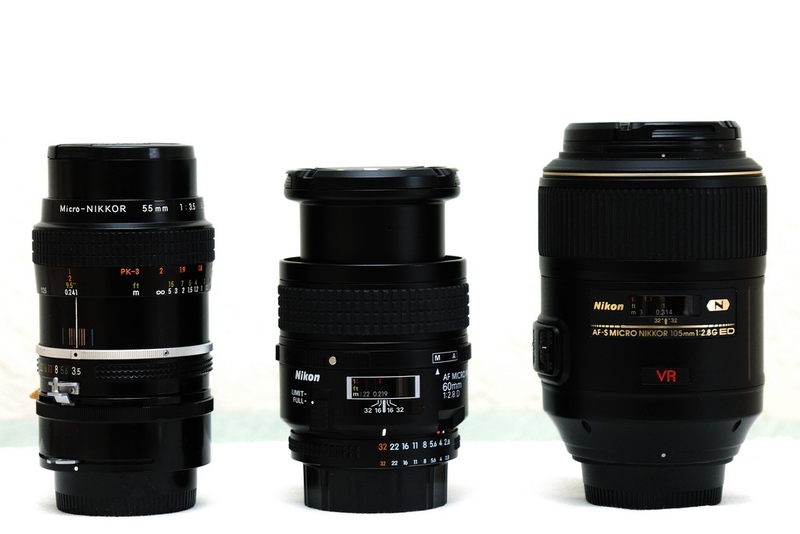 At present, I have three ‘real’ macro lenses capable of achieving 1:1. 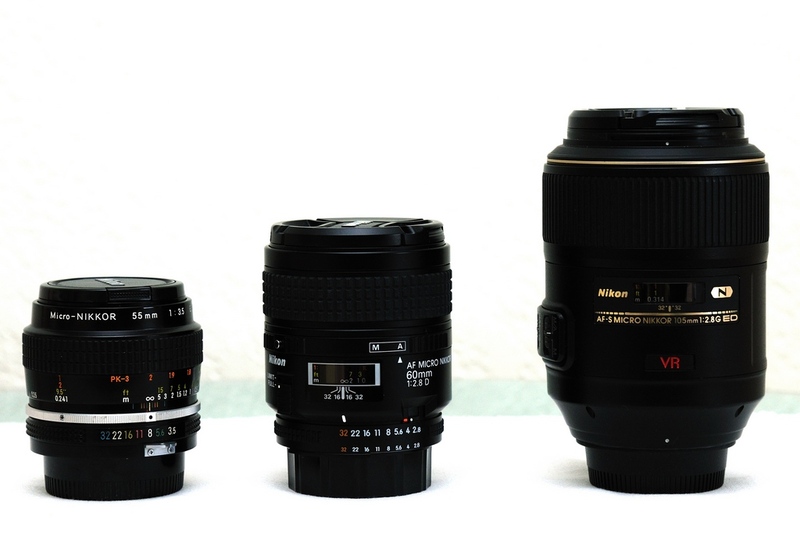 They are the 55mm f3.5 Micro-Nikkor from the 70s, the more modern 60mm f2.8D Micro-Nikkor and the 105mm f2.8 VR Micro-Nikkor. Why three? Well, each has it’s purpose. I’ve had the 55mm since new but, it is a non-AI lens and is not recommended for mounting on digital cameras without modification. I decided not to modify mine but, it is still useful when mounted on a bellows. The 60mm f2.8D is a good lens for close work like copying documents or small product photography. I use the 105mm f2.8 VR for field photography because it gives me a better working distance. Speaking of working distance, here are the three lenses. On the left, they are all at infinity focus and on the right they are all at 1:1 magnification. You will notice that the 105mm does not change size as the focus is changed from infinity to 1:1 magnification. That is because it is an internal focussing (IF) lens which does not change length as focus occurs. That is not true of either the 55mm or 60mm. In fact, you can see that they extend quite a lot. The 55mm actually needs an extension tube to achieve 1:1 focus. 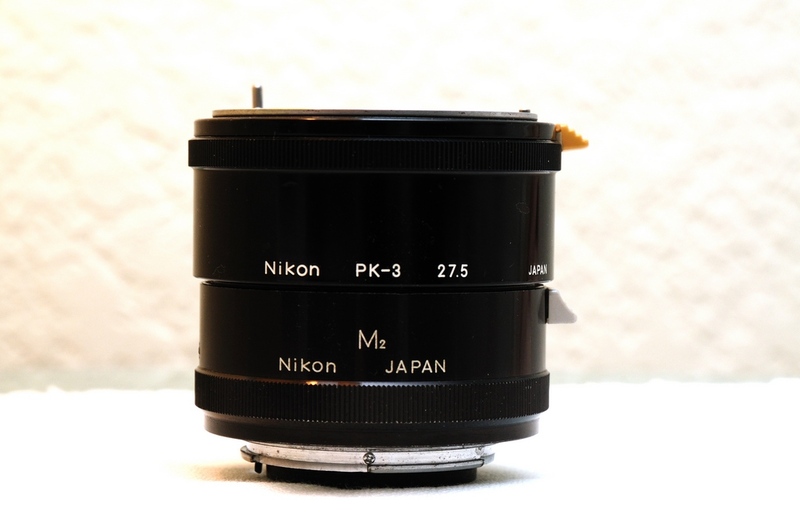 Older versions of the lens included the M2 extension tube which allowed for automatic diaphragm operation and later versions with the PK-3 tube which also coupled to the meter prisms of the Nikon F, F2 and F3. The 55mm on the left in both pictures is shown with the PK-3 mounted to give 1:1 in the right picture. This entry was posted in Camera Gear, Shooting closeups and tagged Photography. Bookmark the permalink.